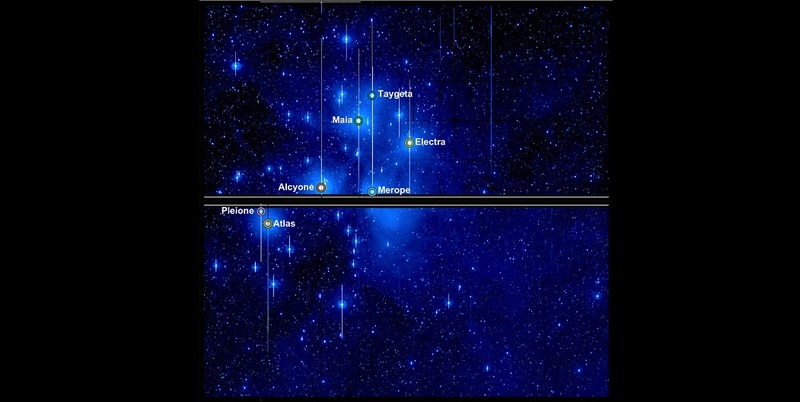 The Seven Sisters, as they were known to the ancient Greeks, are now known to modern astronomers as the Pleiades star cluster – a set of stars which are visible to the naked eye and have been studied for thousands of years by cultures all over the world. Now Dr Tim White of the Stellar Astrophysics Centre at Aarhus University and his team of Danish and international astronomers have demonstrated a powerful new technique for observing stars such as these, which are ordinarily far too bright to look at with high performance telescopes. Their work is published in the Monthly Notices of the Royal Astronomical Society. No signs of exoplanetary transits were detected in this study, but the authors show that their new algorithm can attain the precision that will be needed for Kepler and future space telescopes such as the Transiting Exoplanet Survey Satellite (TESS) to detect planets transiting stars as bright as our neighboring star Alpha Centauri. These nearby bright stars are the best targets for future missions and facilities such as the James Webb Space Telescope, which is due to launch in late 2018. Nice and informative post you have shared.